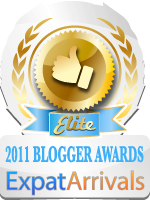 This brochure was sent to me and I thought I'd post it on my blog. 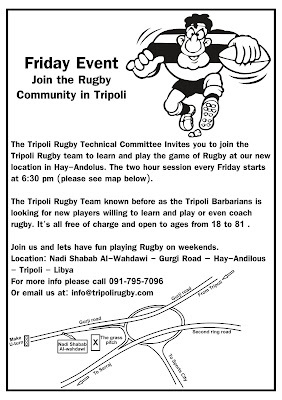 There's something to do in Tripoli! Nothing on the brochure is mentioned about gender... do females play Rugby? I guess this would be a good way to work out your aggressions (and maybe make the roads a safer place). Seriously - this sounds like fun. wow, you play rugby in Lybia? Never would have thought.